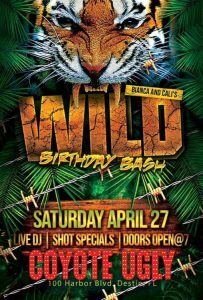 Come enjoy the 80s rock vibe and celebrate 6 years and counting! 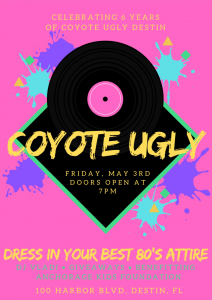 We are looking to see you all there in your best 80s rock attire. 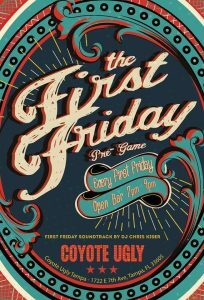 Pre-game with your Coyotes in Ybor City! Enjoy open bar 7-9pm followed by DJ Chris Kiser until close! It must be spring again! 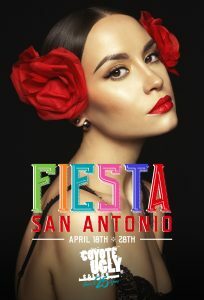 Pecan Street Festival is here! Come enjoy a drink on our patio as you are out on Sixth Street. 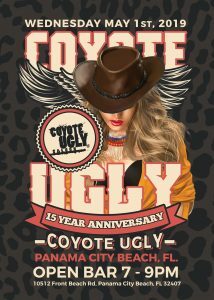 Come celebrate at Coyote Ugly. We will have drink specials all day to help you get in the spirit. We will have drink specials every night to help you get into gear for summer! 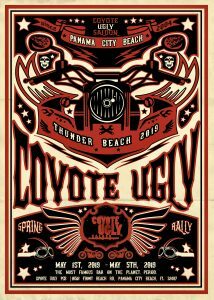 Come see our famous Coyotes and help kick off the season! Bring your military id and receive drink specials all weekend. As always, thank you for your service!